Our estate grown Forbidden Fruit is a nicely balanced indica dominant cross between Cherry Pie and Tangie with mid-levels of THC. 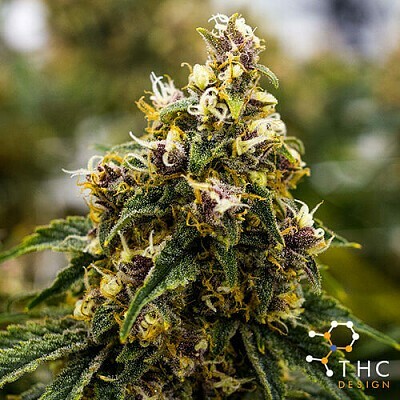 From clone to harvest this beautiful strain stands out with its deep purple hues contrasting sharply against wiry orange hairs. Strong citral scents permeate the buds, releasing a refreshing aroma in the air, while the taste is crisp and nuanced, with tropical undertones and hints of pine. If you’re looking to relax Forbidden Fruit will gently send your body into a state of bliss, complimented by spurts of euphoria inherited from its Tangie ancestry.